I used the new First Frost from the upcoming Holiday catalogue. 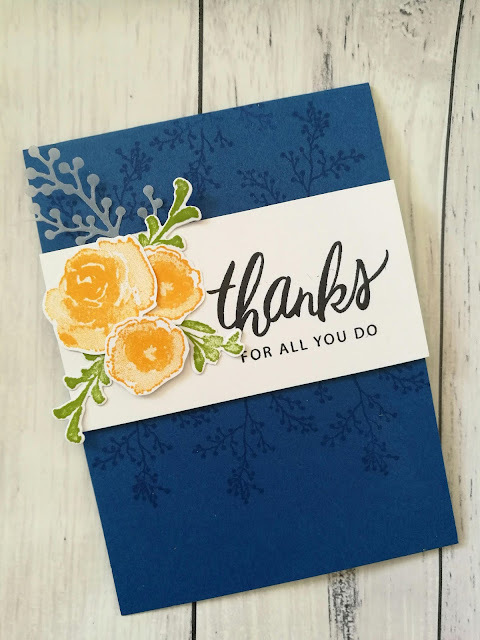 Instead of diecuts tucked behind the white panel I stamped in Versamark. 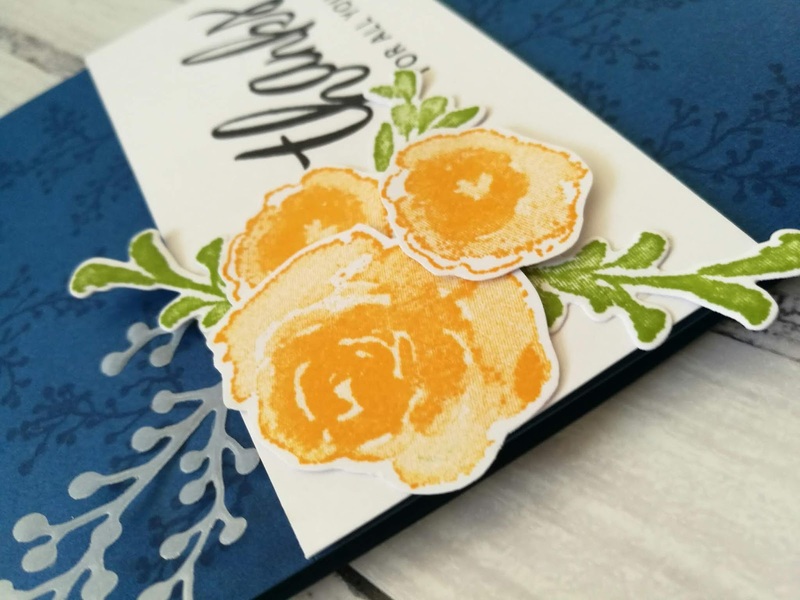 The contrast between the colours Blueberry Bushel and Mango Melody really pop. You can use any stamps you have on hand, or you can get the new First Frost from September. Check out what my fellow Crazy Crafters have made by clicking on the links below. Ohh, so pretty! Love the colours and the subtle background. Just perfect! I am blown away by the amazing CASE cards today and yours is so pretty and love how you changed the orientation of the card from landscape to portrait. This is gorgeous Shirley! 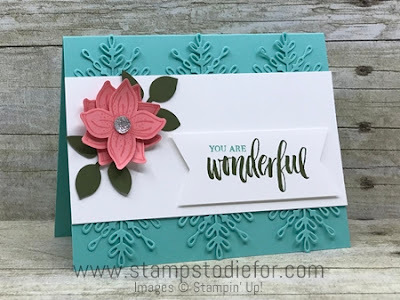 Love the colours that you have used and love the take on Patsy's card. You have been inspired and yet made it your own. Thanks for taking part in the Crazy Crafters Blog hop.